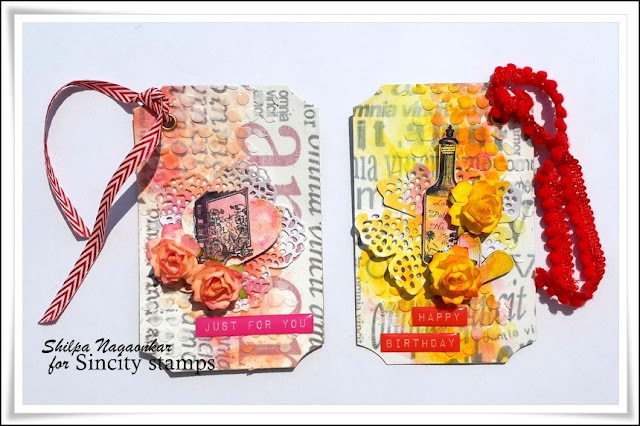 I've created these two tags using some super cute Sin City Stamps! Cut out your tags using patterned paper and a framelits die. 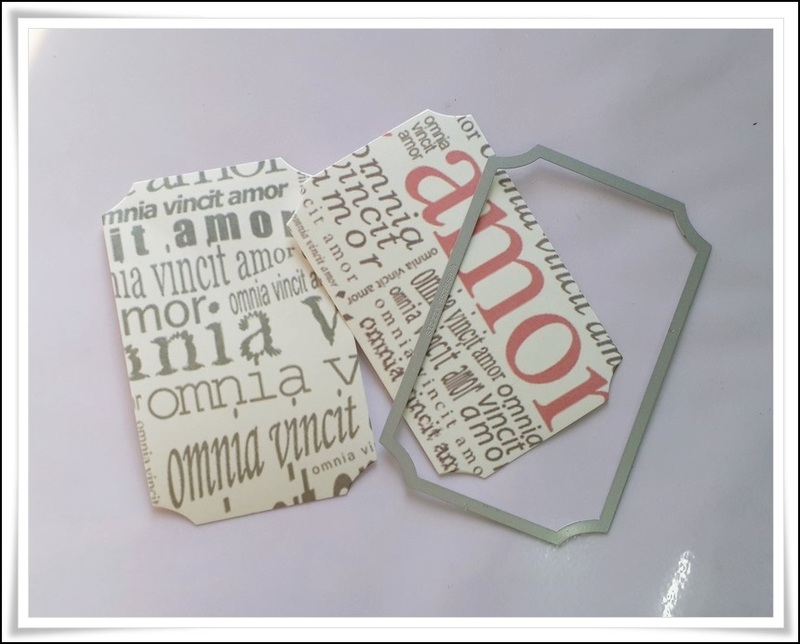 Apply thin layer of gesso to both tags. 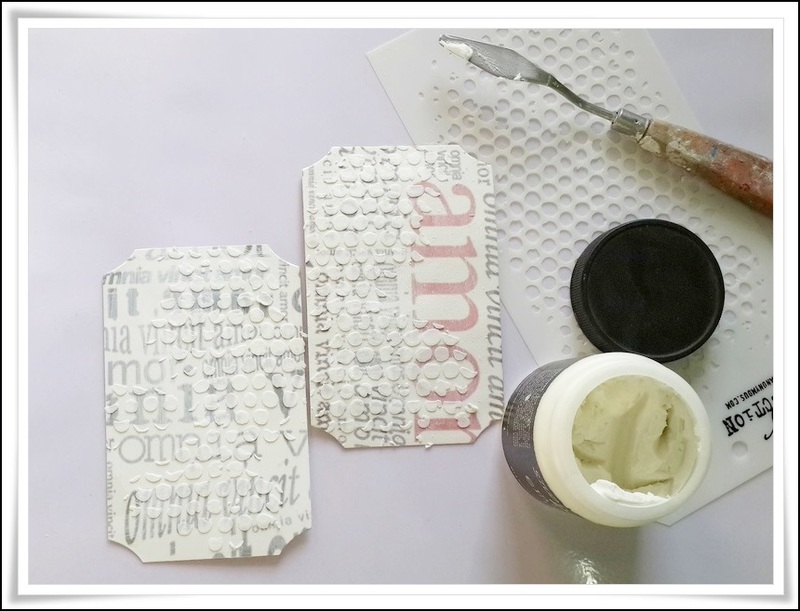 When it dries, apply white embossing paste through the stencil. 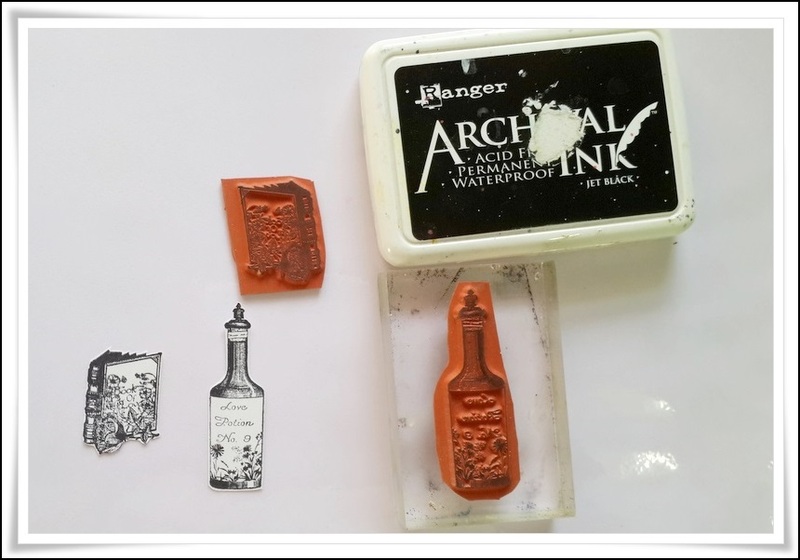 Stamp Book and bottle images on watercolor paper using the black Archival ink. 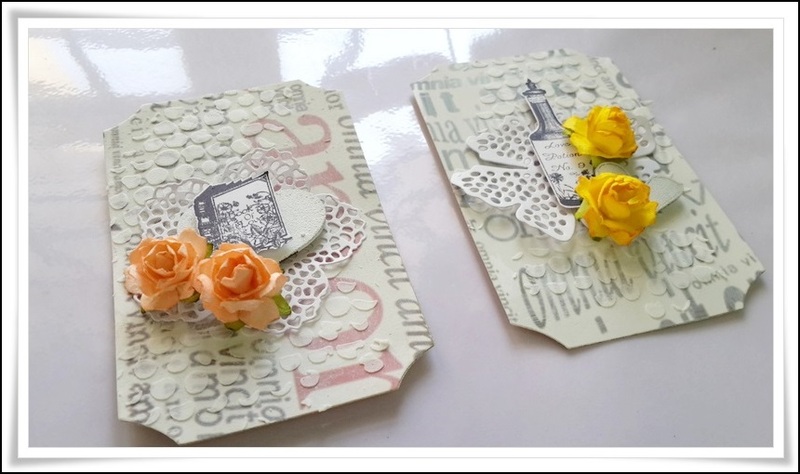 Layer the doily diecut, chipboard heart, stamped image and flowers on the tag as you like. 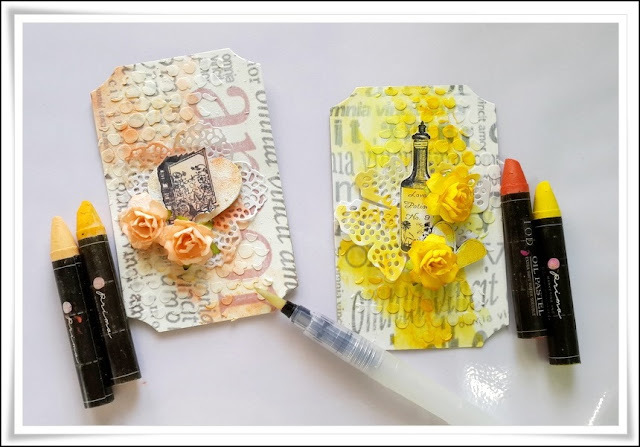 Apply oil pastel colors to the tag using waterbrush pen. After you add the sentiment and ribbon, your tags are ready! So pretty! Love the lacey look and fabulous layering!